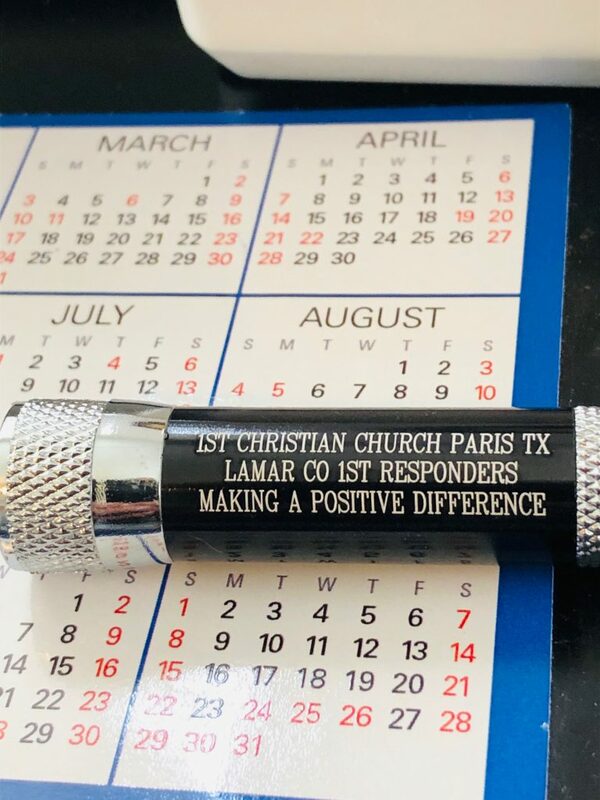 Make a note for this coming Saturday, April 6, as it is our monthly free breakfast for all Lamar County First Responders. Breakfast served between 8:30 and 9:30 am and the menu is eggs, bacon, sausage, ham, biscuits, hash browns, gravy and coffee, milk and orange juice. The men of First Christian Church look forward to the first Saturday of each month to show our appreciation to all who keep us safe 24/7! This Saturday each person will receive an LED Flashlight keychain to hopefully help them in their jobs or in their own homes and vehicles. Please notify all your staff so they can be treated to a special breakfast morning.